On Jan. 10, Venezuelan President Maduro will assume his mandate as president for the 2019-2025 constitutional term, swearing his oath of office before the Supreme Court of Justice (TSJ), after his election on May 20, 2018. In normal times, the oath of office is taken before the National Assembly (AN), but since that body remains in judicial contempt since 2016, it has no legal ability to perform its normal duties, explained president of the National Constituent Assembly (ANC) Diosdado Cabello. As such, Maduro will be sworn in by the Supreme Court (TSJ) as per the wording of the Venezuelan Constitution. He is also due to be formally recognized by the Bolivarian National Armed Forces (FANB) and will meet with his supporters, while on the next day, he will appear before the ANC to legitimize the mandate he received in the May elections. Why is the National Assembly in contempt? On January 11, 2016, the TSJ declared the National Assembly in contempt of court for swearing in three deputies from the self-appointed Democratic Unity Rountable (MUD) elected by the state of Amazonas in December 2015. The three Indigenous legislators should have been temporarily suspended because of voting irregularities in that region, but instead took possession of their seats on July 28. The contempt of court is maintained to this day because the new board of the AN refuses to accept the judgments of the TSJ. The actions of the National Assembly are thus null and void. Diosdado Cabello explained during the Meeting of the Congress of the Peoples, that article 336, number 7 of the Constitution declares as constitutional the exclusion of municipal, state or national legislative branch power when that power has stopped acting within norms or requirements to guarantee compliance with the Magna Carta. Why the swearing in before the TSJ? Venezuelan lawyer Hermann Escarra explained that article 231 of the Constitution establishes that in the absence of the National Assembly, the president-elect must take his oath before the highest court, as Maduro will on January 10. “The two last decisions of the TSJ were very clear: while the AN operates outside of the Constitution and in contempt, none of its actions are valid — they are null and nonexistent,” said Escarra. He further explained that if some unusual event would prevent the president-elect from being sworn in before the Supreme Court, the president must do so before any body of national public power. In defiance at US-led efforts to isolate Maduro, including more sanctions announced this past week, a number of world leaders have expressed their support of the constitutional path which Venezuela is continuing along. High profile figures due to attend the swearing in ceremony include the President of the World Peace Council, the Secretary-General of OPEC, and high level government representatives from China, Bolivia, and Russia. A series of social movements have also published statements calling for respect for the self-determination and soverenigty of the Venezuelan people and rejecting the recent stance adopted by the regional bloc of right wing countries, the Lima Group. The Network of Intellectuals, Artists and Social Movements in Defense of Humanity has also published a statement which called for respecting the sovereignty of Venezuela and its people. 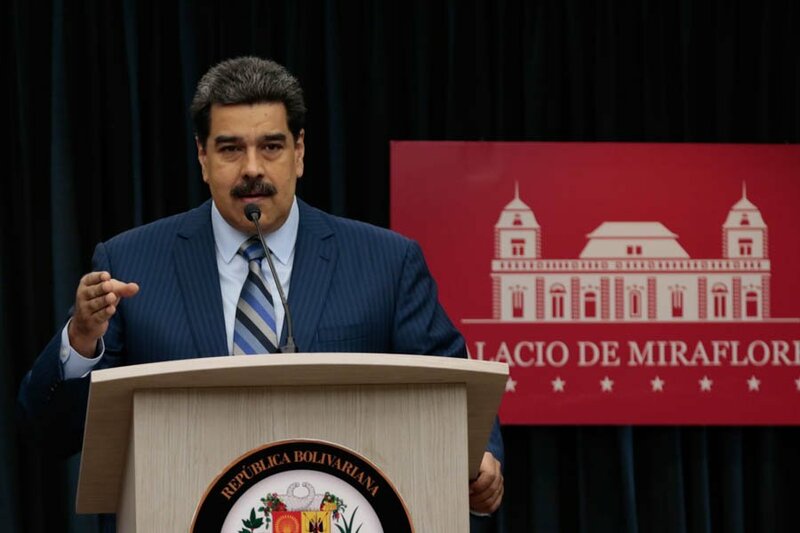 It also rejected the continuous attempts by the United States and its allied governments to undermine the May 2018 elections in Venezuela, in which Nicolas Maduro was re-elected to the presidency of the country. The declaration was signed by nearly 600 intellectuals, academics, artists, representatives of religious organizations, lawmakers, ambassadors, lawyers, activists and peace-loving people from all over the world.